Condition: new, no box, no flaws. Dimensions: length 16.5 cm, height 12.5 cm, width 3.5 cm. Dimensions are approximate and indicative piece having a shape relatively irregular. Object proposed for sale is a statue / block crystal, a rare piece. 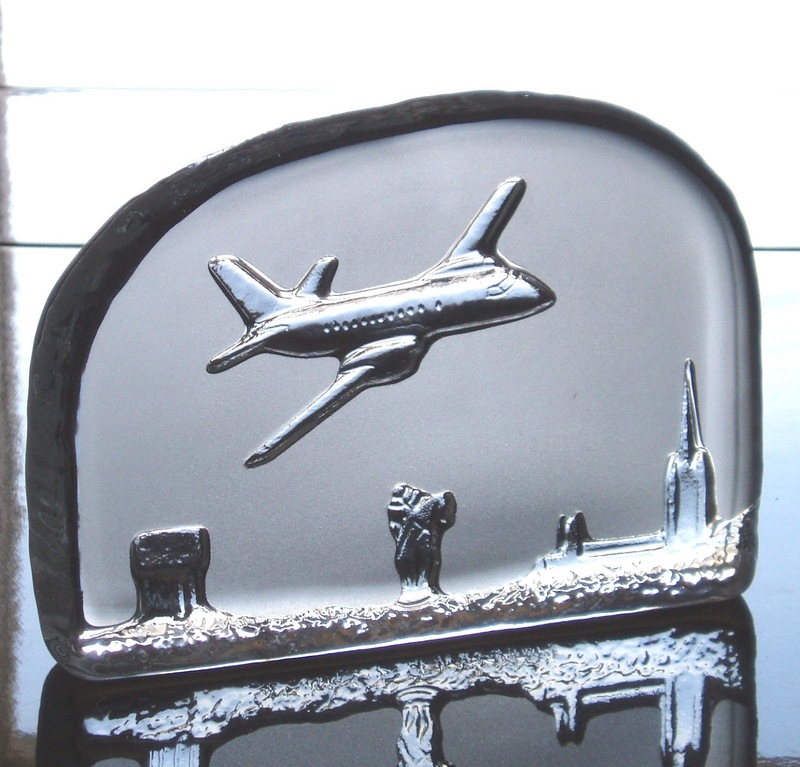 I is also called "Relief", "Block Glass", "Sculpture", "Press-papier" (Paperweigt). Can we even say trinket - general category that can encompass many such pieces, though the world around flees upon hearing the word. Eventually a piece of art glassware, undoubtedly. 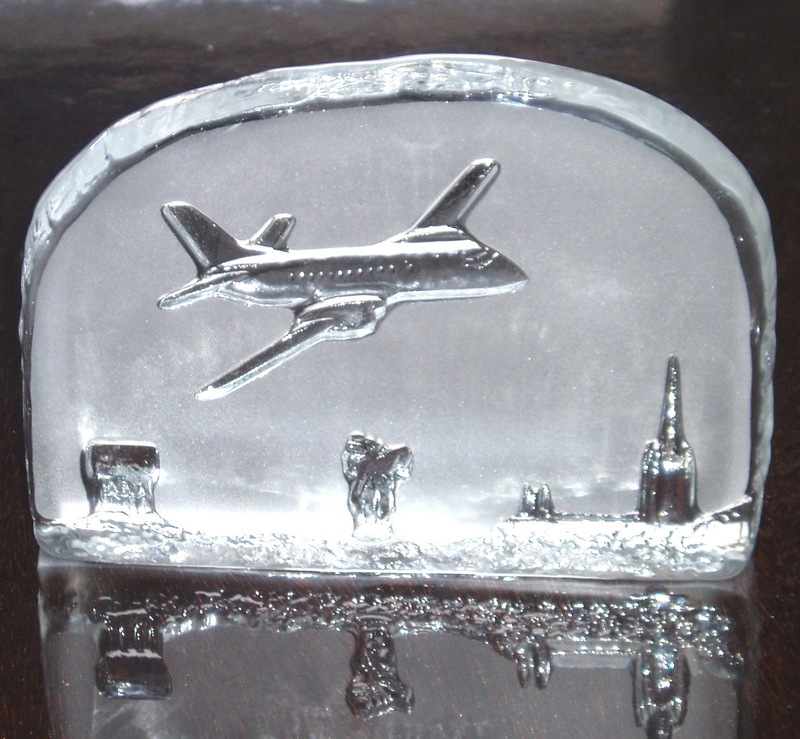 So a block "full lead crystal", representing an aircraft departing from an airport. The airport is one of Linkoping, Sweden. The technique is called "Cameo glass". Of course you can not carve in the crystal, but it is called style and such "sculptures" - worked in the negative - are made manually, often with a cast. Contrast is made of an opaque surface which is the background picture. 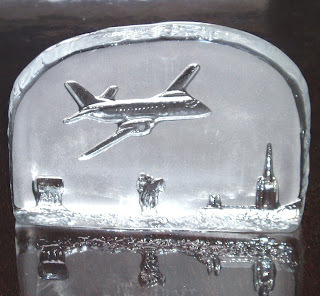 The idea is that of a sugestion ice sculptures. The piece is very beautiful, decorative - especially if exposed to a place with natural light. I can say that is very rare, yet we could not find another, similar, on NET. The "Relief" is made in the workshop "Mantorp" Sweden, how to read and the original stickers. Pricing can not comment too much. 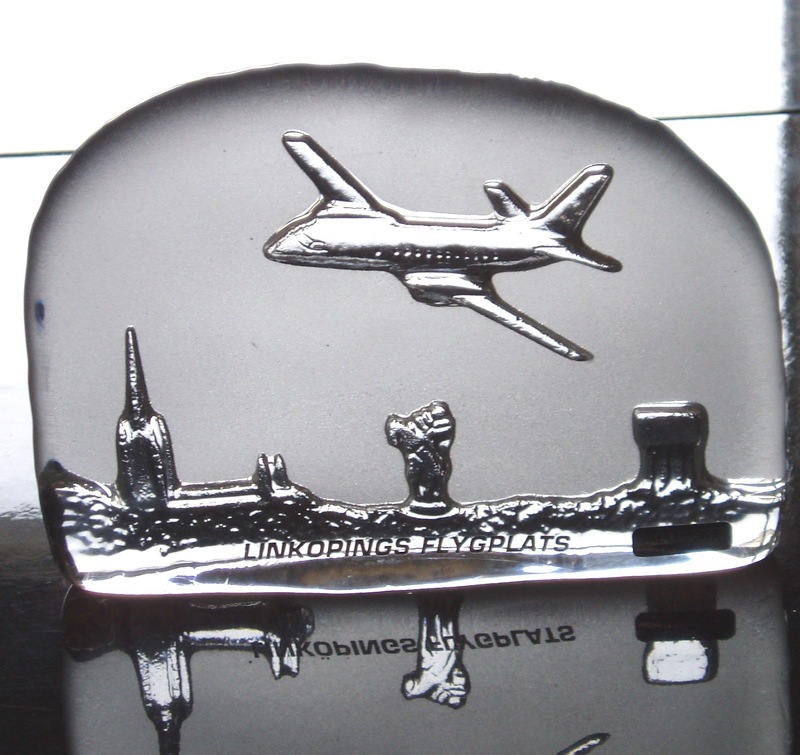 Browse similar products "Mantorp Crystal" or note "golden rule" of the art market namely that identificate and identifiable piece respectively artist name, period, style, producer, manufacturer, also is more valuable than an anonymous, unidentified and unidentifiable - like with most, that are for sale around here and elsewhere!